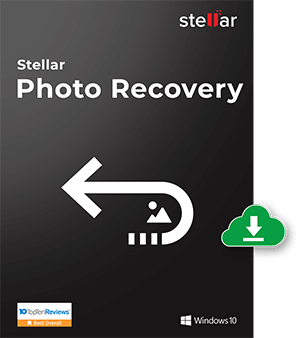 Stellar Photo Recovery software is the best DIY software to recover media files lost due to deletion, corruption or accidental formatting. It works with all major cameras, drones, PCs, memory cards, USB Flash Drives and more. *Download the free trial version to scan & preview your deleted photos. Recovered images from memory cards or hard drives, even after reformatting, I absolutely recommend Stellar. Lost your Photos, Audio, & Videos? Trust the #1 Photo recovery software from Stellar. Important benefits of the software are described below to help you recover your deleted photos. 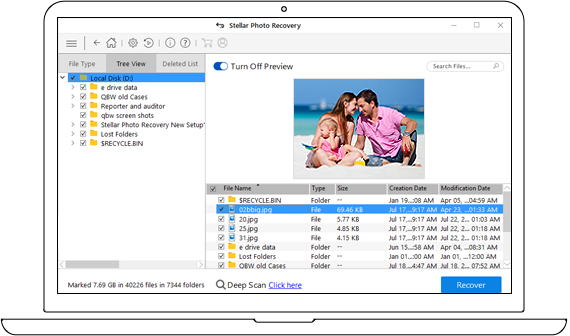 Stellar Photo Recovery tool recovers photos lost from digital cameras, memory cards, SD cards, USB Sticks/Flash drive, external/internal hard drives. The supported photo file formats are Canon (CR2 /CRW), EPSON (ERF), Fujifilm (RAF), Kodak (K25 /KDC /DCR), Konica Minolta (MRW), Mamiya (MOS), Mamiya (MEF), Nikon (NEF, NRW), Olympus (ORF), Panasonic (Raw), Pentax (PEF), Sony (SR2, ARW, SRF), Sigma (X3F), DNG, DJVU, PGM, Adobe EPS (Mac), Adobe EPS (Windows), TGA, JPEG, TIFF (Motorola and Intel), BMP, GIF, PNG, PSD, INDD, PSP, PCT, and JP2. 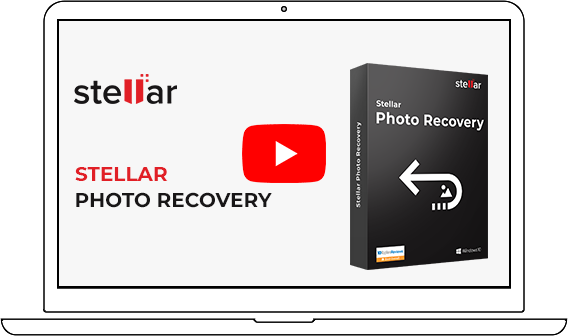 Stellar Photo Recovery is also capable of recovering different video and audio file formats stored on hard drives, memory cards, and other storage media. The supported video file formats are MP4, 3GP, AVI, MPEG, Matroska Video File (MKV), AVCHD Video File (MTS), Divx Encoded Movie File (DIVX), MOI Video File, Video Object File (VOB), OGG,OGM, 3G2, ASX, MTS, AJP, F4V, VID, TOD, HDMOV, MOV, MQV, M4B, M4V, WMV, MXF movies and SVI. Supported Audio file formats are RPS, MP3, AU, WAV, MIDI, OGG, AIFF, RM, WMA, RA, M4P, M4A, ACD, AMR, AT3, CAFF, DSS, IFF, M4R, NRA, and SND files. The image recovery software lets you save the directory tree structure generated after a drive/volume scan to a desired location on the disk. The information is saved as a file that can be used to regenerate the tree structure of the found files/folders or to resume recovery at a later stage. You can choose to save the result of the complete procedure or stop the scan at any time and save the information up to that point. If you’re unable to see the file format of the items you wish to recover in the supported file types feature of the software, you can either edit any of the existing file types or add new file headers manually or automatically. This feature makes this product the best photo recovery software available in the market. It gives the application extended flexibility and increases its utility. Undelete your seemingly lost photos and media from damaged / corrupted / inaccessible memory card, SD Card (Mini, Micro, SDHC and SDXC), memory stick, compactflash, CF card, smartmedia, multimediacard, XQD memory card, eXtreme (xD)-picture card, Eye-Fi WiFi SD card, P2 card & all other flash cards. Supported cameras include Sony, Nikon, Canon, Samsung, Pentax, Minolta, Kodak, Sigma, Fuji, Olympus, Epson, Mamiya, Panasonic & all latest camera models. With time and continuous usage, internal and external drives/media develop bad sectors. This kind of damage often makes data stored on the device inaccessible. With Stellar photo recovery software, you can create a sector-by-sector image of the entire or a selected range of media so that the data stored on the remaining good sectors can be saved. This image can then be used to recover data by using the software. 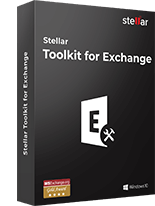 Experience Stellar Photo Recovery in your preferred language. The software provides 5 language options to choose from – English, French, German, Italian & Spanish. Select your desired language and change the entire application to the chosen one any time without having to reinstall the software. Preview the found multimedia files in three different ways — File Type, Tree View, and Deleted List. Sorted and easy-to-view scan results help in quickly identifying the relevant photos, videos, and audio files for recovery. File Type groups according to photos, videos and audio. Tree View allows you to navigate to the media file location. You can view and recover only the deleted files from the Deleted List. Another reason why this application is regarded as the best photo recovery software is its user friendliness. The latest version comes equipped with a new and improved interface to make the usage of the tool smoother and more interesting. In addition to more preview types, more views to display scan results, and customizable options to check / uncheck files and folders for recovery with spacebar and more, are also provided. The product searches for lost files on the basis of file signature. In case, after the quick scan process is completed and your desired file is not included in the list of files detected, you can opt for Deep Scan to perform a comprehensive scan of the selected drive or location. Improved scanning engine ensure your files and folders are found out quickly thus enabling the digital photo recovery software to restore all data accurately. Most of the free photo recovery tool available in the market fail to work properly on devices that have large storage capacities. 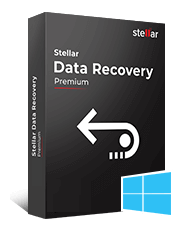 However, the picture recovery software from Stellar helps you to recover deleted pictures from media with size as huge as 5TB and more. The picture recovery software from Stellar stands out from other free deleted photo recovery program in many aspects. In addition to recovery from different types of media and of different file formats, the v9.0 of the software also supports recovery of Unicode files. I have accidentally formatted my memory card. How can I recover the data using photo recovery software? Check in All multimedia files in What to Recover window. Click Next. List of found photos, videos, and audio files appears. Preview and click Recover. Browse location to save the recovered files. Click Start Saving. I am not able to see my camera in the software? What am I doing wrong? The issue is because the camera card is not detected by the system as a drive. You need to connect the card through a card reader to the system. Re-launch and you can see the card in the left hand panel of the software. How to recover photo, music, and videos using the photo recovery software? Connect the card or the drive to the computer. On software home screen, check in All multimedia files in What to Recover window. Click Next. List of found photos, videos, and music files appears. Preview and click Recover. 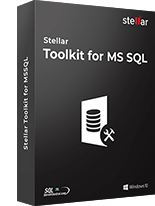 What new file types is supported by the latest Stellar Photo Recovery Software? The latest Stellar Photo Recovery supports all known and unknown multimedia file types. The software supports recovery of lost or deleted raster images, vector files, MXF movies, HD-MOV, Adobe EPS, and RAW file formats of cameras. You can even add the new file types, if your required media file type is not in the predefined list of supported formats. How to recover photos and videos from a corrupted or damaged SD card? At first you should try to find the reasons for SD card corruption and try to manually apply some easy fixes for corrupt SD card recovery. 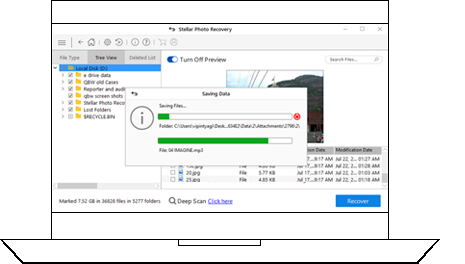 If still your SD card could not be repaired to working order, then we recommend to use our Stellar Photo Recovery Software. It will recover all your photos and videos from a corrupted or damaged SD card. When I insert my SD card to my PC, it says "The disk is not formatted, do you want to format it now?" and it doesn't let me format though. How to get back my photos back? It is highly possible that your SD card has got corrupt. There are number of possibilities leading to a SD card corruption/data loss starting from system incompatibilities, mishandling, driver failures or even write-protection. Read our guide to know about the simple solutions for SD card recovery. What media files Stellar Photo Recovery can recover? The software can recover all kinds of multimedia files including raster, vector, RAW camera files, videos, and audio files. You can also add new file type, if you do not see your required format in the supported file formats. Photo Formats: BMP, GIF, JPEG, TIFF, PSP, PNG, MOS, MEF, DJVU, TGA, PGM, DNG, PSD, INDD, JP2, PCT, PBM Paint Shop Pro Image File (PSP), Picture File (PCT), Adobe EPS (Windows) and more. Supported RAW Formats: Nikon(.NEF,.NRW), Kodak(.KDC, .DCS, DRF,.D25), Olympus(.ORF), Panasonic(.RAW, .RW2), Sony(.ARW,.SRF,.SR2), Fuji(.RAF), Sigma(.X3F), Pentax(.PEF), Minolta(.MRW), and Canon(.CRW) etc. Audio File Format: RPS, MP3, AU, WAV, MIDI, OGG, AIFF, RM, WMA, RA, M4P, M4A, ACD, AMR, AT3, CAFF, DSS, IFF, M4R, NRA, and SND etc. Video File Format: MP4, 3GP, AVI, MPEG, MKV, AVCHD (MTS), DIVX, MOI, VOB, OGM, 3G2, ASX, MTS, AJP, F4V, VID, TOD, HDMOV, MOV, MQV, M4B, M4V, WMV, MXF movies and SVI etc. Can I recover specific files after scanning of the drive? Yes, you can recover specific files after successful scanning of the drive/media. From the list of found files that appear after scanning, select your specific file types and click Recover to save the files. How can I recover photos from a drive that has bad sectors? To recover photos from a drive having bad sector, first create the image of drive using 'Create Image' feature of the software. Then scan that image to recover your lost photos. I have created an image of my drive. How can I recover pictures from the image file? Click on Resume Recovery icon on the home screen. Click Load Image. A Recovery from Image window opens. All image files with .img extension are listed. Select the image file for which you want to resume the recovery process and click Add. Can I save the recovered photos on the same drive? No. Choose the different drive to save the recovered photos. If you choose same drive, it will lead to overwriting of photos which in turn will result in permanent loss. I have completed the scanning; can I perform recovery at some other time? Yes, you can perform recovery at any time, all you need to do is to save the scan information and at the time of recovery reload that scan and perform recovery. How can I recover photos from saved scan information file? On the home screen, click Advanced Settings icon at the top. Click Resume Recovery icon. A Resume Recovery window opens. All saved scan information files with .DAT extension are listed. Select the scan information file for which you want to resume the recovery process and click Add. Click Resume Recovery to start the recovery process. How can I Create Image of my drive using the software? Click on Resume Recovery icon at the top in the main interface. Select the drive for which you want to create image. Here, you can select the Range to Create Image. Specify a location for saving the image file. Click Start Imaging. The image file with .img extension is saved at your specified location. Can I create the image of the drive on the same drive from which I want to recover photos and videos? No. You must save the image of the drive at another location as saving the image file on the same media leads to overwriting and permanent data loss. 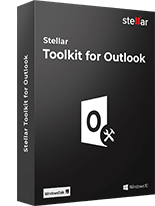 Does Stellar Photo Recovery support Linux file system? 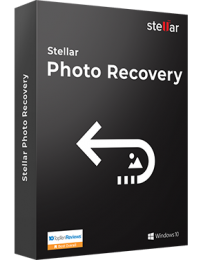 Yes, the new Stellar Photo Recovery supports recovery from Linux-based drives, SD cards etc. 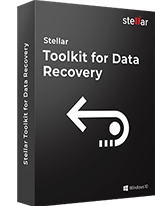 I have been using Stellar recovery software for over a decade and it has saved me and colleagues as well as students on more occasions than I am comfortable mentioning. I was shocked to know that I have accidentally formatted the SanDisk Extreme CF card. Stellar Photo Recovery saved me & my image as a photographer. I can't be this happy & relaxed. Thank you Stellar. Thank you so much and what a fantastic kit this is and a great price I thought I had lost thousands of my photos and had no way of getting them back if I took my desktop to a repair shop it would have cost a lot-lot more. 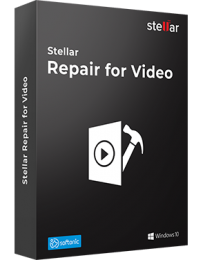 Stellar Photo Recovery software is the best DIY software to recover media files lost due to deletion..
Stellar Repair for Video is the world’s best tool for repairing corrupt, broken or damaged MP4, MOV..
Stellar Photo Recovery software is an easy-to-use, DIY Mac photo recovery software that recovers pho..